On my first scouting trip to Barcelona, back in May, I did find a yarn shop. It was strange, but it was here. I felt confident that I could find something appealing to me behind the counter. Yes, everything is behind a glass case and you need to try to communicate what you want so the sales person can retrieve it for you. This I just learned in reading an article online called ‘Knit One, Purl One‘. Albeit this is a dated report, I have seen first hand, not much has changed in the traditional shops. 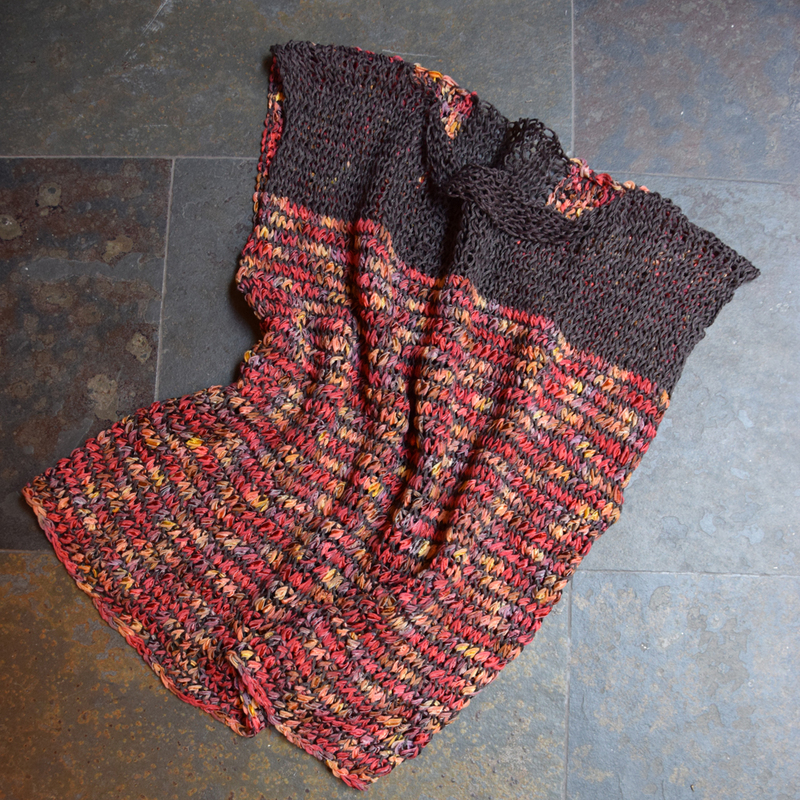 When I first arrived in Barcelona, I was very lucky to have my knitting Aunt as a houseguest. What she gave me was priceless. Together, we did more research. There had to be a knitting shop which was more like what we were used to back home. 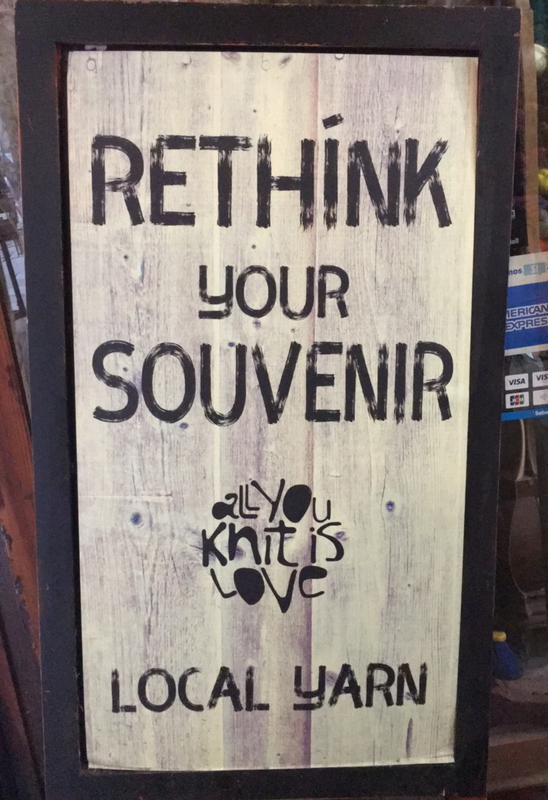 Our searching proved fruitful, we found a lovely shop called ‘All You Knit Is Love‘, created by an American woman who had married a Catalan. The shop is located down a maze of little back streets over in the Gothic quarter. It is an adventure in itself to wander over there and find it! When women are on the hunt for yarn, we do not get distracted by the amazing architecture. We do not get side tracked with other little gems of shops. We beeline to the wool. Once we found it, we were pleased to see all the yarns prominently on display. As is our normal experience, we could touch and feel and dream and scheme of what we could make! The selection of local spinners was good to see, as well. Most of the skeins in the shop are premium wools, silks, linens, cottons and the like. Usually, once the choices are made and the transaction occurs, it is another straight shot home to cast on. Some might call that an illness, I call it a passion. I didn’t want to buy too much. How many projects could I reasonably finish? Depends on how much time I was going to allocate to it. I have a bunch of other stuff on the go, as a traveller and I don’t want to be focused on knitting when there things like the Sagrada Familia to see! It is also not prudent to be buying yarn to accumulate. I don’t need a travelling stash. That is crazy talk. I bought enough yarn for 2 projects. A top called ‘pending‘ and a pair of socks. I’m done both and I have a full 10 days left. Not to mention the problem of yarn shops in the tropics. Am I going to find any in Bangkok or Siem Reap? What about Phnom Penh or on the island of Bali? I’m not going to be back in typical yarn territory until March of next year. I am feeling a fully justified trip to the shop coming on. While I am taking a few minutes to write about knitting, I might explain why it is so important to me. It goes without saying, as every knitter knows, it is not cheaper. These premium yarns are far more expensive, out of the gate. Then all the time involved. At the same time it is priceless. 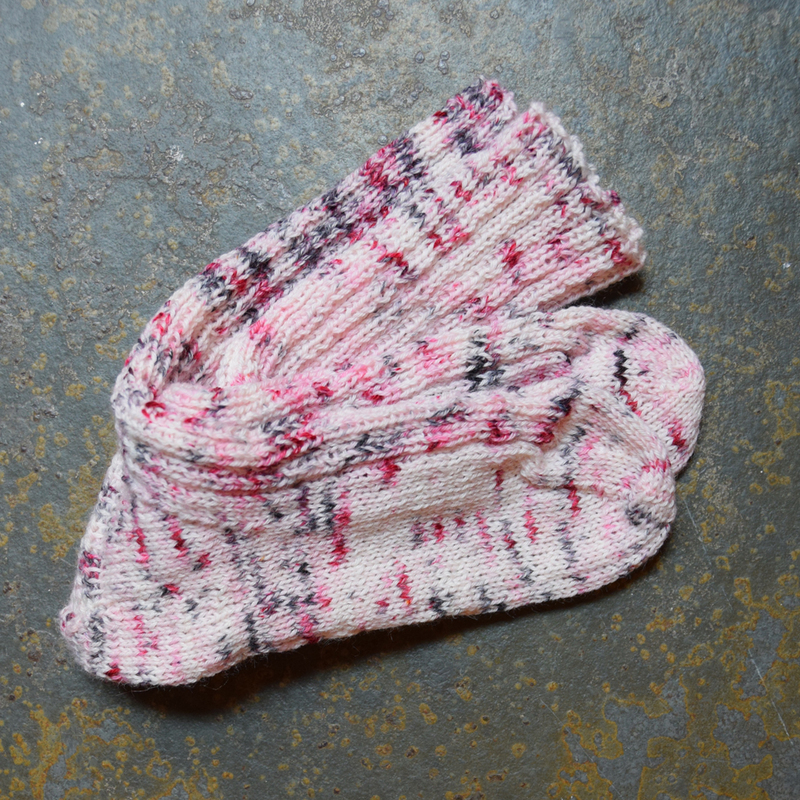 Where else are you going to find a pair of hand knit socks made from yarn hand spun and dyed by Greta and the Fibers, here in Barcelona? I mean really. There is no price to be attached to it that is fair. Along with the time invested in the dying, spinning, selecting for retail and then the knitting, you have a lot of love being spread around. I’ve always thought that, even before I found this store in Barcelona with the best name ever. There is also something less cliché going into the knitting and that is a kind of happiness building therapy. There is scientific proof, (google it), to show that any kind of creative work you do with your hands improves your happiness and even your creative abilities overall. This extends to the basic stuff, most of us do everyday, like cooking! As we continue on our journey, my day-to-day responsibilities to cooking and cleaning are getting a whole lot less. We are doing shorter stays in AirBnB’s and longer stays in hotels. I will have even more time for knitting! I mean happiness therapy. There is reason number two to head back to the yarn shop. Not that I need an excuse to just go and look. Shopping is not buying, after all. But I know myself. Even with the best of intentions, I usually don’t leave a great yarn shop empty-handed. ← Can you beat your inherent personality type? What you knit as well ?! I should’ve known you, the woman I aspire to be more like, would also have a skill I admire! Thank you for sharing your experience with us all , you are a brave, strong woman ! Sandi – thank you for these kind words! Your artwork and photography are also amazing skills! Hope all is well at the Cienski house, hope we can connect sometime next year when you are in Van.